Dental Staff On Call understands that hiring a staff member for your practice is a personal process and an important decision. At the same time, it is a costly and time-consuming endeavor. That is why we have made it our business to know your industry and the best candidates available. Many search firms allow candidates who are personally unknown to them to use their website as a methodology for posting a resume. In today's world of the virtual office, Dental Staff On Call believes that nothing is more effective than face-to-face communication. 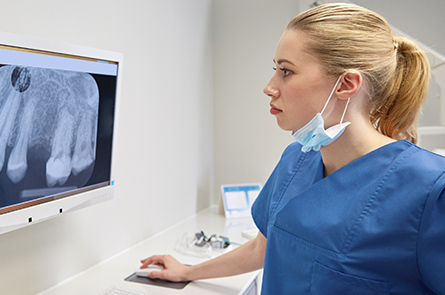 Consequently, all Dental Staff On Call candidates are pre-qualified and tested by our recruiting managers. Dental Staff On Call is so confident in our candidates that we offer you a "NO-RISK" guarantee. The placement fee is not due until the employee is hired. Your office risks nothing to allow us to perform the search for you. When you are looking for your next career success; have Dental Staff On Call help you sell your skill set. The first step in finding a great job is getting the interview — and the best way to do this is to get your resume into as many hands as possible. Register with DSOC now and let us help you get your name into the right hands. Our services do not stop there. We will prepare you for your interview, coach you through the interview, and give you the tools you need to close the interview and get the position.